Palmers Green & Southgate U3A (University of the 3rd Age) is 5 years old this year. 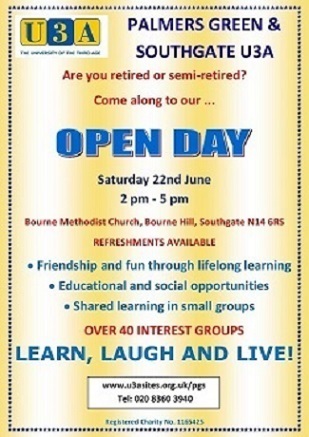 Do come along to our Anniversary Open Day, to see what we do, to talk to our members and to find out about U3A generally. You will be more than welcome.